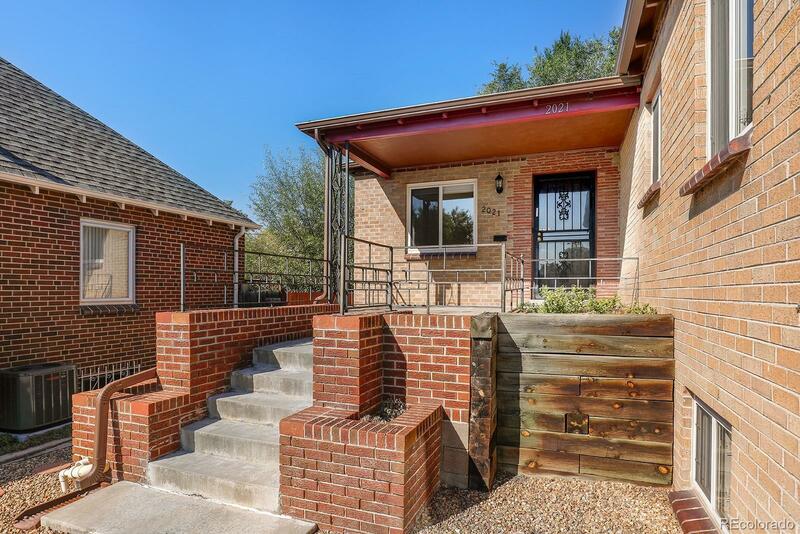 Beautifully updated 1940s brick townhome in Sloan's Lake located just 1/2 block from the lake. From the lake, you can see the downtown skyline, mountain views to the West and stunning sunsets over the water and enjoy opportunities to walk around the lake, go kayaking or paddle boarding or relax in the private back yard. Great walkability to restaurants, shopping, and nightlife in the Highlands. This immaculate home has a welcoming front porch and original hardwood floors that maintain the home's traditional character and charm. Bright kitchen features new cabinet doors, new flooring, a gas cook-top, and eating area. Finished basement offers great additional living space with a large guest suite, an updated bathroom and bonus room that could be used as a 4th bedroom. Nicely landscaped backyard has a new patio, perfect for entertaining. Additional features: radon mitigation system, new roof and gutters, newer evaporative cooler and reserved parking spot in a detached garage. No HOA!